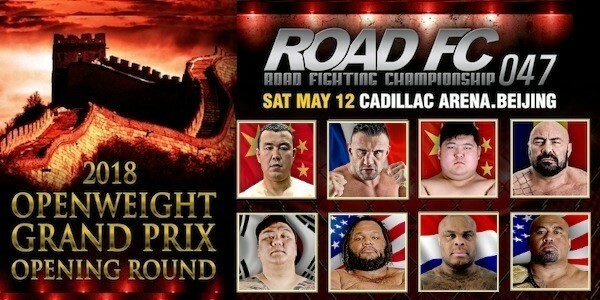 ROAD Fighting Championship has announced that Xiaomi ROAD FC 047 will take place at the 20,000-seat Cadillac Arena in Beijing, China on May 12, 2018. The opening round of the inaugural 8-man 2018 Openweight Grand Prix will be held that day. World-renowned legendary striker Jerome Le Banner is announced as the final participant. 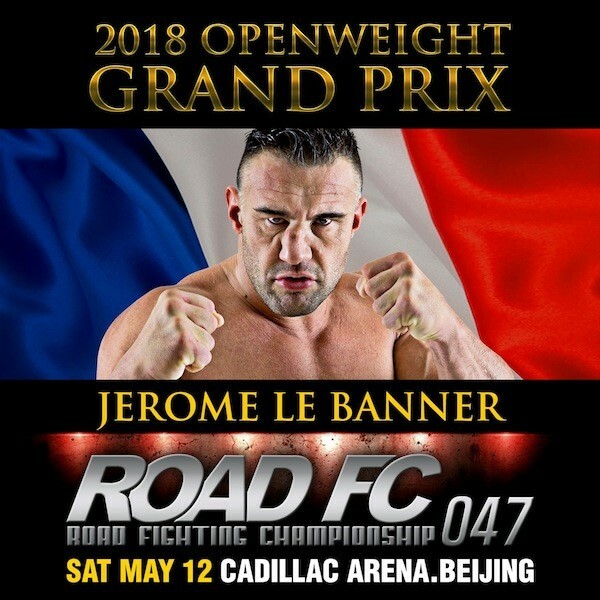 Jerome Le Banner (3-3-1, Chakuriki Gym) of France is a decorated kickboxer with a 25-year chain of championships and tournaments totaling to an impressive record of 81-22-1. Although he started in judo as a boy, it was the impression of Bruce Lee which set him into the striking arts. Then from 1990 to 2015, Le Banner succeeded in winning title after title in Muay Thai, kickboxing and K-1 rules, including multiple ISKA championships and K-1 World Grand Prix tournaments. The right-handed striker who stuck to a southpaw stance because of Bruce Lee has become a favorite to countless combat fans around the world through several generations. Le Banner has shared ring rivalries with the best of the best including Musashi, Ernesto Hoost, Remy Bojansky, Semmy Schilt, Gary Goodridge, Choi Hong-Man, and Mark Hunt. Le Banner’s MMA foray has seen him face Sexyama and Satoshi Ishii; in boxing he is undefeated at 6-0; and he’s even turned his hand at professional wrestling for IGF since 2011. Le Banner’s most recent fight was in Rizin just at the end of 2017, and he’s planning on a quick return with his Grand Prix appearance. Le Banner will enter the ROAD FC cage as legitimate ring royalty, and there is no doubt his blazing right hook will once again shine! All other competitors for the 2018 Openweight Grand Prix have been previously announced. MMA juggernaut Gilbert Yvel will make a come back to prove he’s one of the best heavyweight strikers of all time. ROAD FC Openweight Champion Mighty Mo will join the GP riding a string of overwhelming home-court victories. The USA’s Chris Barnett will bring his exciting Taekwondo striking into the mix. China’s behemoth Sanda champion Wu Lahan will bring his submission savvy back to the ROAD FC cage. Consummate underdog Kim Jae-Hun takes up the brawler’s flag for Korea. Romania’s PRIDE veteran Sandu Lungu will make a massive impact with judo and fists of iron. China’s standout young superstar Aorigele will look to cement his prospect status among this international field of top fighters. All match ups will be announced shortly.